Champ Thompson of the Harlem Globetrotter’s stopped by Applebee’s on Bayfield St. in Barrie in support of Applebee’s anti-bullying program. The Barrie restaurant is giving guests a chance to win a family V.I.P. experience to see the Harlem Globetrotter’s up close and personal when they come to Barrie April 3rd for a game at the Barrie Molson Centre. 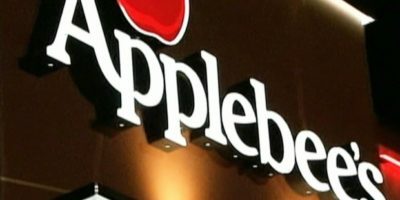 Applebee’s Barrie location is offering up their guests a chance to win a 4-pak of V.I.P. tickets to the upcoming Barrie game, which includes Harlem Globetrotter’s Magic Passes and a chance for the winning family to Meet and Greet with the Harlem Globetrotter’s game night at the BMC. Guests just have to share their anti-bullying message for a chance to enter the contest. The contest continues until March 31st. Enter as often as you like. Anti-bullying is a key message the Harlem Globetrotter’s promote through their work and at their shows around the world, and Applebee’s in Barrie is a proud community supporter that believes in a strong community where everyone works together for the common good. Stop by Applebee’s Barrie location and share your anti-bullying message before March 31st for your chance to win the Harlem Globetrotter’s V.I.P. Family Experience.